There is now a CIRCLE RECORDS fan page on Facebook. Many posts have been added already, with links to videos from nEGAPADRES.3.3., Theee Rebearth Corporation, and old industrial ambient à;GRUMH… tracks. This entry was posted in à;GRUMH..., Circle Records, nEGAPADRES.3.3., Polar Praxis, T-Circle, Thee Rebearth Corporation on 2012-09-24 by SΔ3 eVETS. Join ! Ilike it ! This entry was posted in Polar Praxis on 2011-07-06 by SΔ3 eVETS. 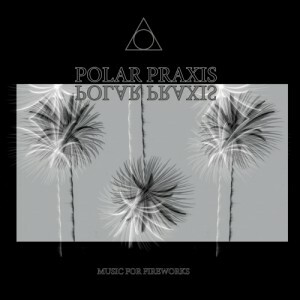 S3’s first solo album from 1985 “Musiques pour Feux d’Artifice” (Music for Fireworks) under the solo band name Polar Praxis has just been remastered and reissued and is now available from ONDERSTROOM records – direct link. It is an album of dance/new age electronic music, rhythmic, mixed, effects… that was quite succesful at the time and has now a new youth though this re-release. 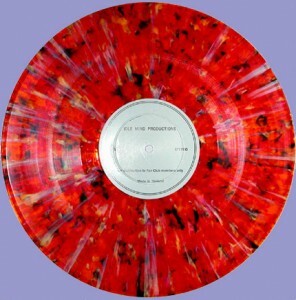 It is a COLORED vinyl record, firework style, under glossy cover. 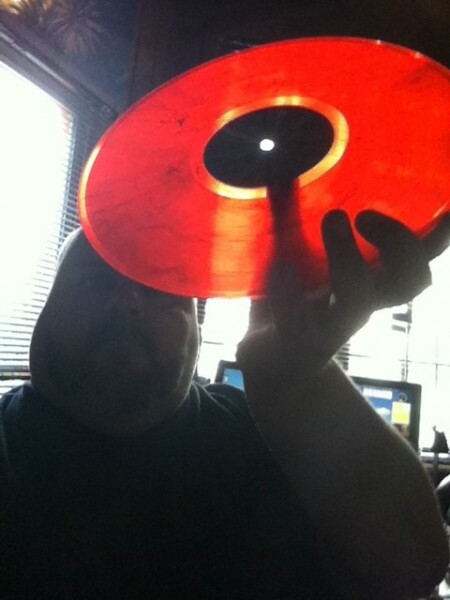 This entry was posted in à;GRUMH..., Polar Praxis, Titicaca Records and Tapes on 2011-06-08 by SΔ3 eVETS. S3 shot a movie called PERFECT DRUG for director TOON AERTS, produced by CZAR. In this movie he plays a motel clerk who eats giant pickels and whose head is then ripped off by a giant tentacule. 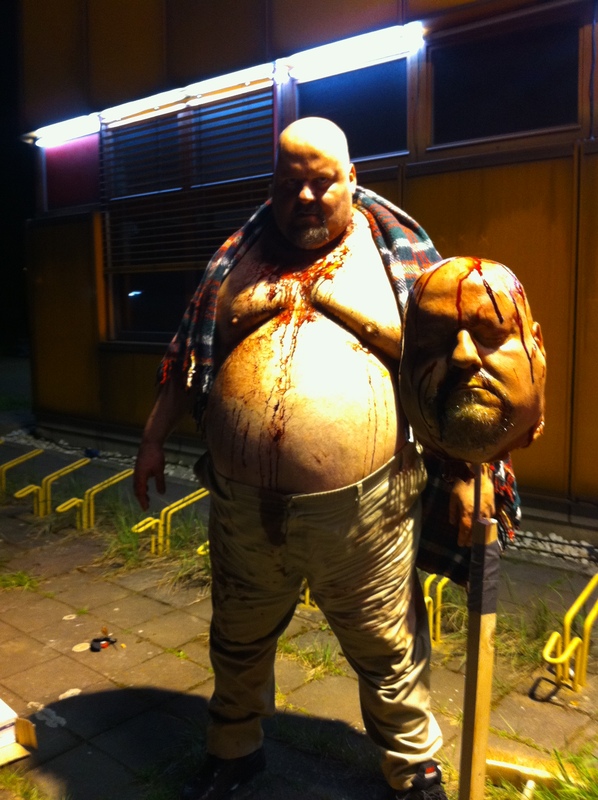 The beheaded body is then penetrated by another actor (from the belly, dirty minds, you!) and…. The rest on screen !! You can view pictures from the shooting in this Facebook album. This entry was posted in à;GRUMH..., nEGAPADRES.3.3., Polar Praxis on 2011-05-23 by SΔ3 eVETS. à;GRUMH… to release a compilation on INFACTED records ! As J3 and me are excited to see our new nEGAPADRES.3.3. album coming out this november on Hermetique (title : LA PHOBIE DU CHEVAL), we are also excited to announce the forthcoming release of an à;GRUMH… compilation on the famous and quasi-cult INFACTED RECORDS. “We were à;GRUMH… and you were not !” (tentative design in photo) will feature 12 to 15 tracks from our albums, plus 2 to 3 LIVE tracks from the 1990 USA TOUR (part of the “It’s a WWW Tour 89-90”). Release date is not yet announced. 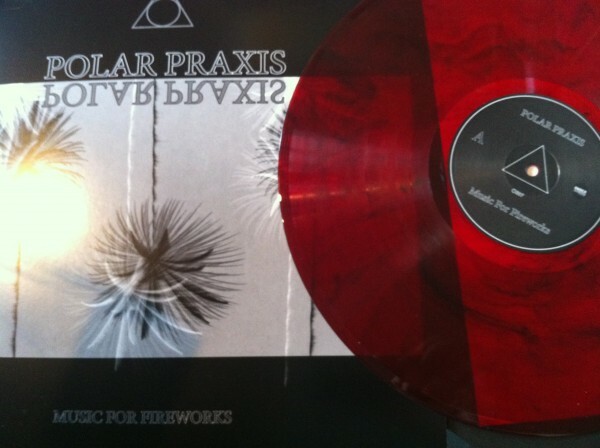 Other news include the re-release of POLAR PRAXIS albums plus tracks from the TTKK tapes on ONDESTROOM records, plus probably parallel release on DARK ENTRIES, as well as other TTKK tracks. More news coming soon. This entry was posted in à;GRUMH..., nEGAPADRES.3.3., Polar Praxis on 2010-11-18 by SΔ3 eVETS. On May 6th, 2005, J3 sEUQCAJ and T-Circle member JCS47 nAEJ eHPOTSIRHC have performed as “Theee Rebearh Corporation v.3.47” in Paris. The set was 45 minutes long, based on former n.3.3./à;GRUMH… tracks, as well as extracts from Polar Praxis (S3’s solo project) 1982 release “Gory Oscillation” and original recordings made by S3, J3 and JCS47 for the event. Mixes on stage, image projections, J3’s uncontrollable shakes and screaming & litanies, as well as JCS47’s amazing ritual chimpanzeeic movements, made this event absolutely unique and acclaimed by both the hypnotized audience, press and music world moguls. The performance was videotaped and will be released as a special DVD thru our shop. This entry was posted in Polar Praxis, T-Circle, Thee Rebearth Corporation on 2005-03-15 by eDITO.